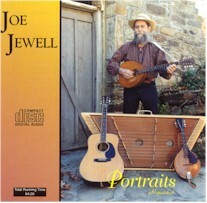 Hammered dulcimer master Joe Jewell and his merry band bring you more must have Celtic music like: Lady Mary, Red-Haired Boy, Planxty Irwin, Garryowen, Minstrel Boy, Drowsy Maggie, Cold Frosty Morning, Kerry Dance and Irish Washerwoman. 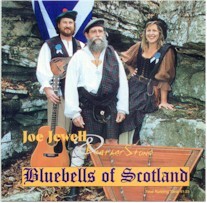 Joe Jewell, renowned hammered dulcimer player, joins up with a merry group of celtic musicians to perform such favorites as: Calliope House, Tam Lin, One Hundred Pipers, Flowers of Edinburgh, Jig O' Slurs, Jamie Allen and Bluebells of Scotland. 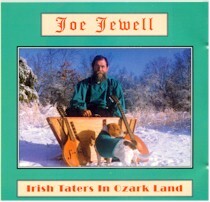 Joe Jewell and his group perform legendary Irish music with a distinctly Ozark flair, including toe-tapping delights like: Swinging on A Gate, Three Kerry Polka, Carolan's Welcome, Black Nag, Blind Mary, The Three Ravens and Ash Grove. 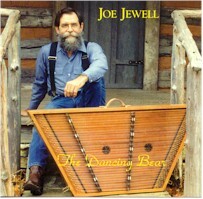 Joe Jewell plays an assortment of relaxing waltz' and airs on his hammered dulcimer, including: Simple Gifts, Music Box Waltz, Dancing Bear, Londonderry Aire, Lara's Theme, Westphalia Waltz, Morning Has Broken, and Margaret's Waltz.